Biodynamic Craniosacral Therapy can lead to changes in areas of restriction and discomfort within the body. It is a subtle yet profound healing modality which assists the bodies capacity for self repair. Each person has their own unique experiences in life and our bodies register these experiences, thoughts and feelings. 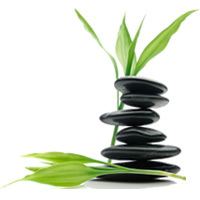 It is with the assistance of the practitioner the clients own “inner physician” seeks to reorganise and find balance. Nature is incredible and so our our bodies – life springs up wherever it has the opportunity (ie: after a bush fire) Our bodies naturally want to realign themselves with health and this therapy helps our bodies to tap into it’s own innate wisdom to create balance and health. How will the session feel? The practitioner lightly places hands on the clients fully clothed body and tunes into (Listening) through their hands noticing contractions and restrictions held within the clients tissues and fluids in the body. The primary orientation is towards health and is deeply relaxing bringing about a reorganisation that is energetic, psychological and physiological. It may lead to improved energy levels, mental clarity, a sense of calmness, better quality of sleep. It can also help to lead to changes in area’s of the body where discomfort and restrictions are held.